The term “industrial dryers” is a general reference that applies to dryers no matter what their particular method of drying is: air, infrared or spray drying. Because of the variety, there is no single design or model of industrial dryer, though there are some shared characteristics. Many dryers are made from stainless steel because it is strong, sanitary and corrosion resistant. They are often cylindrical tanks or rectangular boxes with multiple intake and output valves, connections, openings, gauges and controls. Some may be continuous – able to dry a constant flow of materials – and utilize a conveyor belt while others work in batches. The capacity depends on the kind of dryer and the material that will be dried. Certain dryers can dry over 25,000 pounds an hour while others can be built to hold only one cubic foot. Dryers are essential for the pharmaceutical, food processing, manufacturing, agricultural, pollution control, water treatment and paper industries and have multiple functions when working with chemicals, dairy products, fertilizers, grains, minerals, paper, plastics, refuse and more. Most industrial dryers are bolted or welded together, depending on the importance of the seams, the anticipated product and any motion the dryer will endure. The three main methods of drying encompass a variety of models that carry out the task in different ways. Air dryers are the most common industrial dryers. They bring materials into direct contact with hot air, which causes moisture to evaporate and diffuse into the air, leaving behind a dry product. Flash dryers, freeze dryers, fluid bed dryers and rotary dryers all fit in this category, though their designs vary. Flash dryers use a short, intense burst of heat to dry materials almost instantly while freeze drying uses cold air and vacuums to freeze moisture and sublimate it away. Fluid bed dryers shoot steam up through a perforated plate in order to cause the solid material to behave like a fluid; rotary dryers are large drums that dry products as they turn and tumble the material through the hot air contained inside. Infrared dryers rely on electromagnetic radiation from a certain segment of the wavelength to dry solid materials quickly and without overheating them because the wavelength can be matched to the absorption rate of the product to maximize energy and resources. 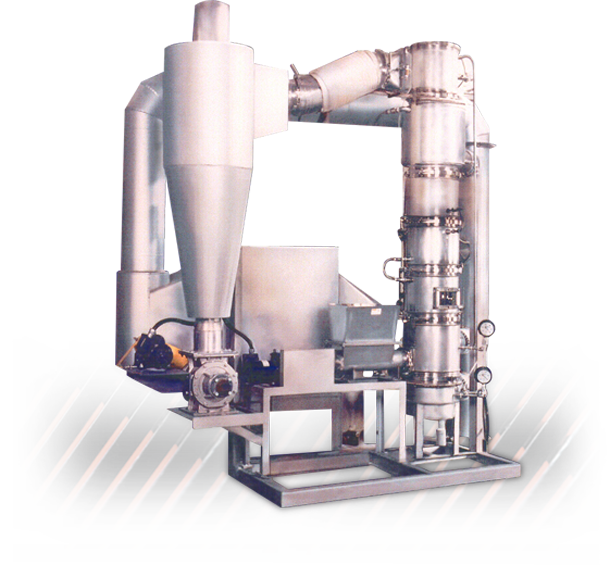 Spray drying introduces the material to jets of hot steam, which causes the moisture to flash dry and evaporate. Industrial Dryers Industrial dryers are used for removing moisture from substances, products or materials in a business or manufacturing capacity. Industrial dryers are often specialized or custom built for specific applications. They tend to be much larger than dryers found in a home or small business and usually don't dry laundry unless used in a laundromat or hotel.